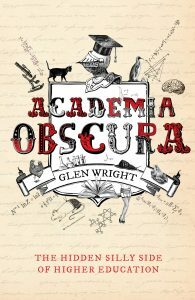 With the season of shopping and consumerism now upon us, we’ve started thinking about gifts that will satisfy and delight the academics in our lives. You may like to pick up the odd thing for your colleagues, or send this list to friends and family who don’t know what to get for you ! 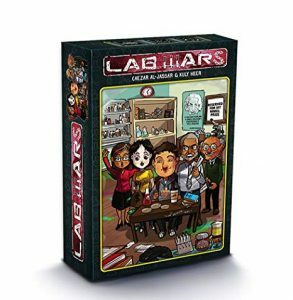 A card game in which you become a renowned scientist by maxing out your lab and bringing down your competitors. If you’ve ever wanted to be ruthless in your career but were held back by, y’know, being a nice person, this game will be your catharsis. The Shakespearean scholar in your life will relish the chance to get those damned spots out. I especially love their slogan: try it in the Macbath! The folks at Two Photon Art create beautiful and affordable jewellery that lets you proudly pin a neuron, a virus, or a brain to your lapel. They also publish science-themed zines – perfect for a little light summer reading. Yes, they do exist. I was as surprised as you probably are right now. 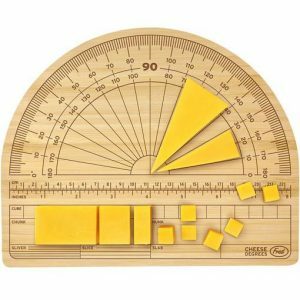 If you love design, angles, and cheese (and honestly, which of us doesn’t sit in the intersection of that particular triple Venn diagram?) then you’ll love this cheese degrees chopping board from Present Indicative. These sets of 5 small wood and metal puzzles are based on designs by some of history’s great thinkers. Great for office desks and nervous tinkering during writing breaks. It may not technically be academic regalia, but a long black fluffy dressing gown can give you that covetable graduation day feeling when you’re lounging around at home with a half-finished thesis.